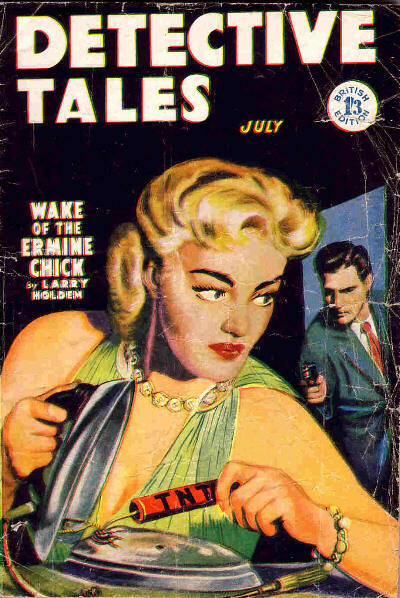 Partial reprint of the April 1955 issue of Fifteen Detective Stories. 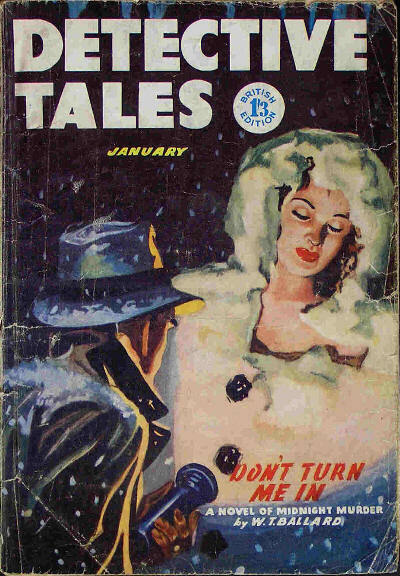 Partial reprint of the December 1953 issue of Fifteen Detective Stories. 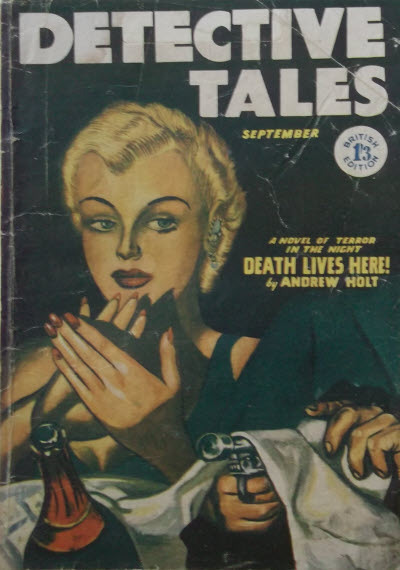 Partial reprint of the September 1954 issue of Fifteen Detective Stories. Details supplied by Terry Gibbons. 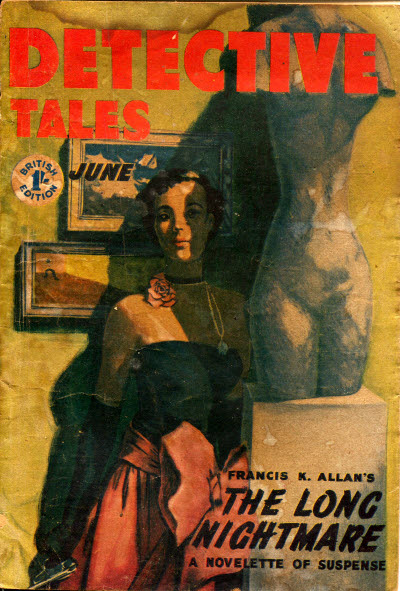 Partial reprint of the June 1955 issue of Fifteen Detective Stories, plus a single story from the January 1942 issue of Detective Tales. Details supplied by Terry Gibbons. 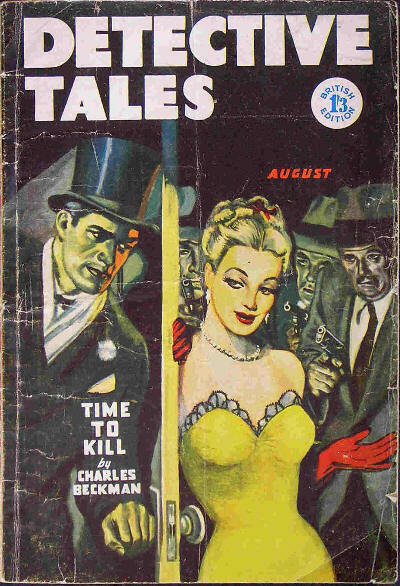 Partial reprint of the August 1950 issue of 15 Story Detective, plus one story of unknown origin. Details supplied by Terry Gibbons. 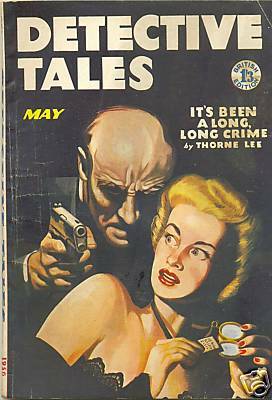 60 · Spring Is a Nice Time to Die · Fletcher Flora · ss Fifteen Detective Stories Apr 1955; given as by Flora Fletcher in the Table of Contents. 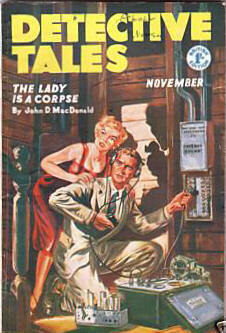 Partial reprint of the February 1951 issue of 15 Story Detective. 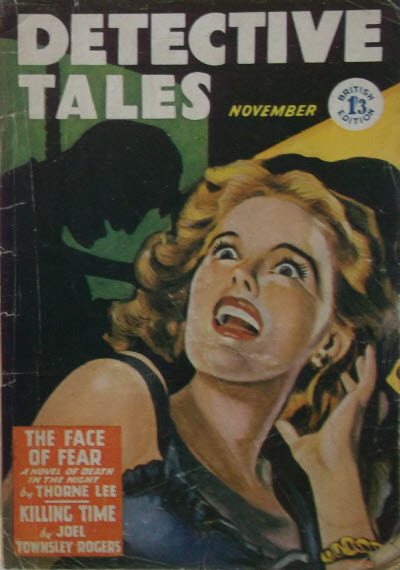 53 · The Nightmare · David C. Cooke · ss 15 Story Detective Feb 1951; given as by Robert Carlton on the story itself. 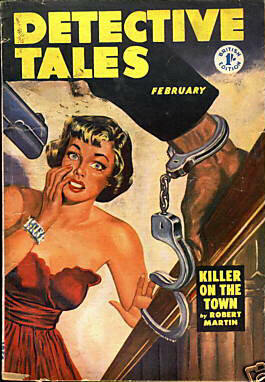 Partial reprint of the February 1950 issue of 15 Story Detective. 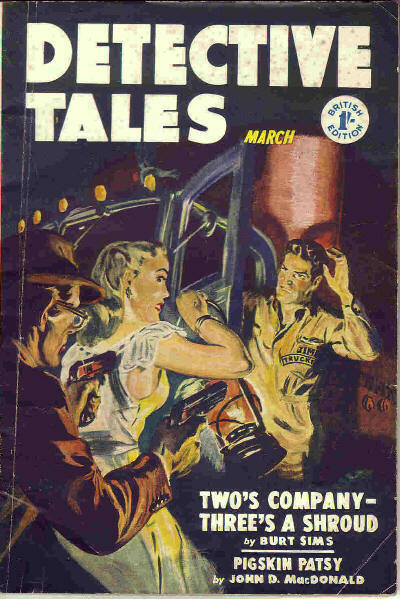 Partial reprint of the April 1950 issue of 15 Story Detective. Details supplied by Terry Gibbons. 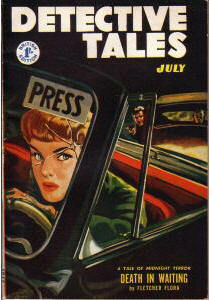 Partial reprint of the May 1951 issue of 15 Story Detective. Details supplied by Terry Gibbons. 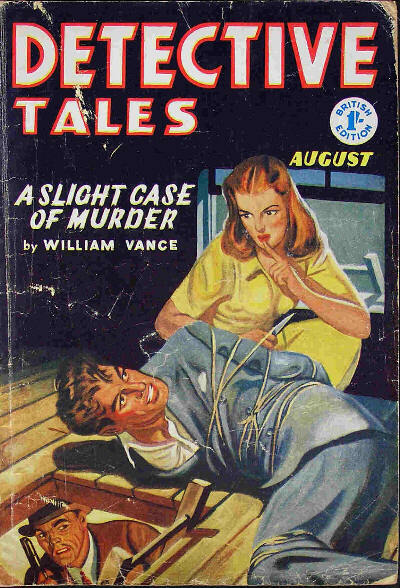 Partial reprint of the July 1946 issue of New Detective Magazine, plus a single story from the May 1951 issue of 15 Story Detective. Partial reprint of the March 1946 issue of New Detective Magazine. 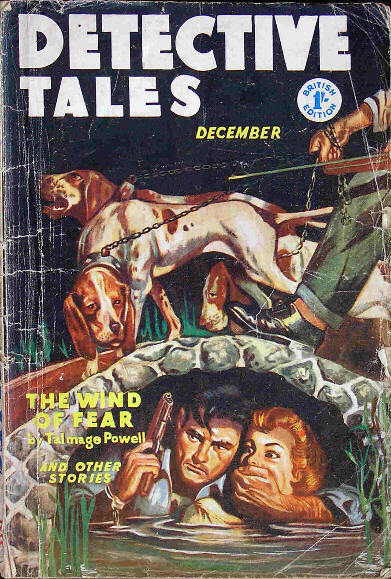 Partial reprint of the December 1950 issue of 15 Story Detective, plus a single story from the April 1950 issue of the same magazine. Details supplied by Terry Gibbons. 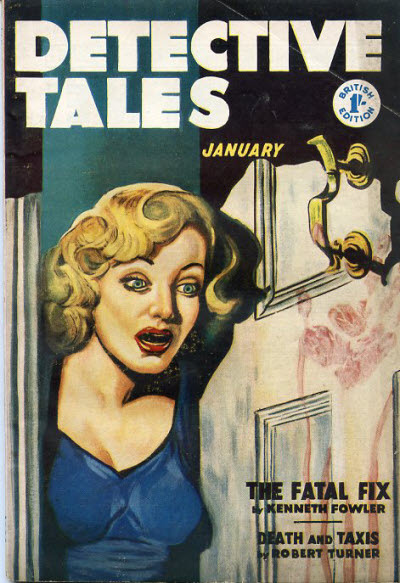 Partial reprint of the January 1947 issue of New Detective Magazine, with the same cover. Details supplied by Monte Herridge. 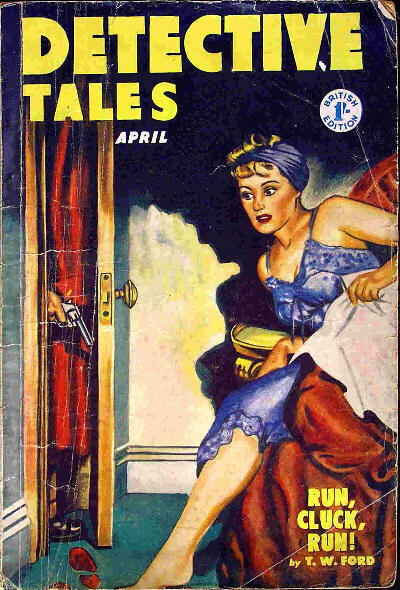 Partial reprint of the March 1947 issue of New Detective Magazine, plus a single story from the June 1954 issue of Fifteen Detective Stories. 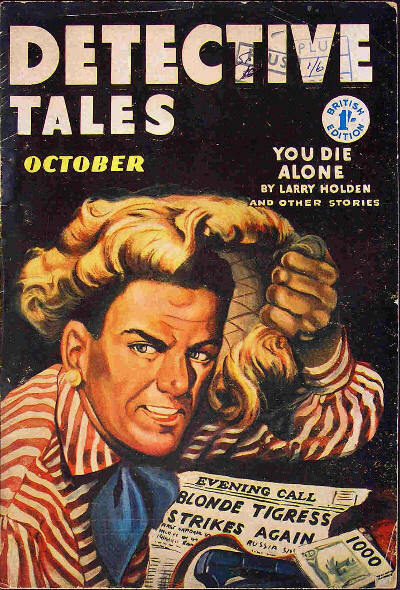 Partial reprint of the September 1946 issue of New Detective Magazine, plus a single story from the August 1950 issue of 15 Story Detective. Partial reprint of the July 1947 issue of New Detective Magazine. Partial reprint of the January 1946 issue of New Detective Magazine. Details supplied by Terry Gibbons.